Knowledge. Reputation. Experience. Quality. These are the reasons why every year, students from all over the world choose an inlingua centre. inlingua is proud to be one of the leading language schools in Malta. Forming part of the global network of inlingua international, we believe the fundamental values of our schools and our services are what sets us apart from the rest of English schools here in Malta. 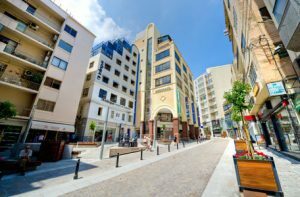 - Located in Sliema, one of the most popular places in Malta, next to the beach. - The inlingua method, our own way of teaching English has proven to be an effective tool in successful language training. Choose inlingua Malta for your language course and get it right the first time. From your very first day, you will communicate in English and will immediately begin to improve and feel more confident with your skills. In class, our trainers guide you to produce sentences that are both grammatically and thematically correct, and soon, speaking English will come to you naturally. As you gain experience you will make less mistakes and learn faster. Why study English in inlingua? Inlingua gives you the opportunity to speak as much as possible during your English courses. Trainers conduct the greater part of the lesson orally, with the book closed. 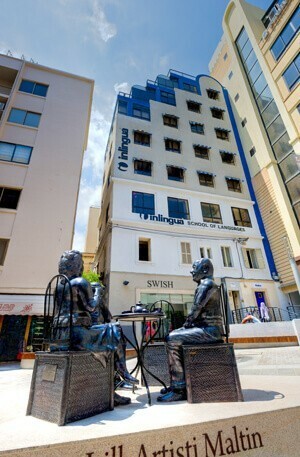 inlingua is located in one of the most famous places in Malta, Sliema in the heart of the tourist area and very close to the sea.